Paragliding in Nepal gives the opportunity to experience an aerial view of the Himalayas. 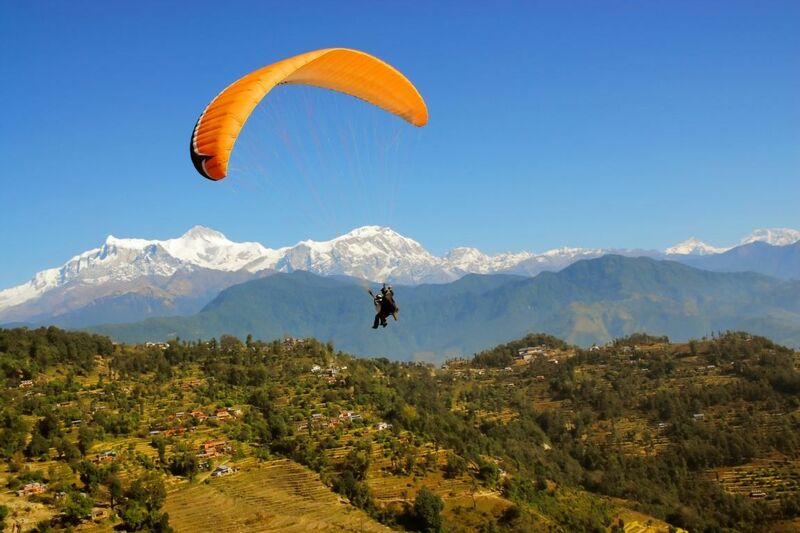 Pokhara, one of the beautiful lakeside towns at the foot of the Annapurna Mountains offers paragliding services. Sarangkot in Pokhara is the take -off point. There are various deals for the paragliding veterans and novices. Three-day introduction course is offered to beginners, and tandem flights where one can fly with instructor are also offered. Day 01 Arrival KTM airport transfer to Hotel check in, after the refreshment hotel short briefing Itinerary. Day 05 from Pokhara drive to Damauli Seti River start to Adventure River rafting seti camp Gaighat.